The Overseas Press Club presents.. Lunch and panel discussion with correspondents who covered the event: 12:30 p.m to 2:00 p.m. It appears that President Xi is determined to prevent his people from ever again demanding greater political rights, as they did that spring of 1989, by instituting a sweeping crackdown on dissidents, lawyers and religious leaders and imposing greater censorship of Chinese-state owned media as well as the Internet and social media. Experts will discuss how his government has detained roughly 1 million Uyghurs and Kazakhs in the western province of Xinjiang and used sophisticated facial recognition technology backed by Artificial Intelligence and Big Data tools to control them. Different provinces and cities are experimenting with social credit rating systems that will prevent wrong-thinking Chinese from getting jobs or getting on airplanes or high-speed trains. 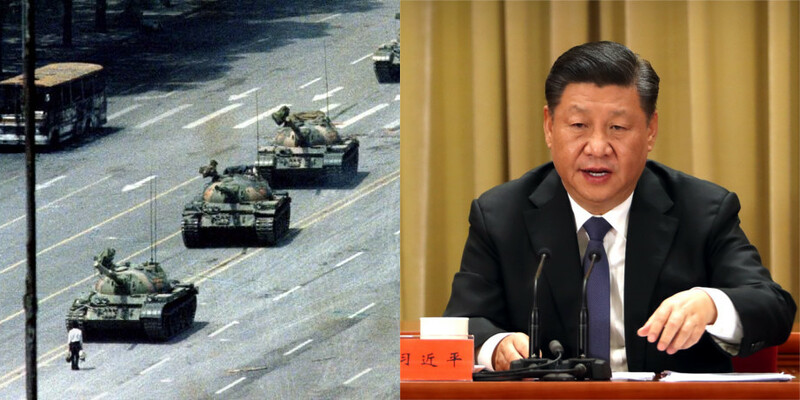 Is Xi using advanced technology to build the most sophisticated totalitarian state in history? Dorinda Elliott, director for the Center for Business at the China Institute, who also covered the event for Newsweek. Bruce Kennedy, a broadcast journalist for CNN, NPR and others. Rebecca Blumenstein, Pulitzer Prize-winner while based in Beijing for The Wall Street Journal. Now deputy managine editor of The New York Times. Dorinda Elliott, director for the Center for Business at the China Institute, who also covered the even for Newsweek.